Do cats need toothpaste? Is it necessary? The answer is YES! Just like humans, cat’s teeth are prone to tartar and plagues that lead to many dental problems. With that in mind, the cat’s teeth need dental care. 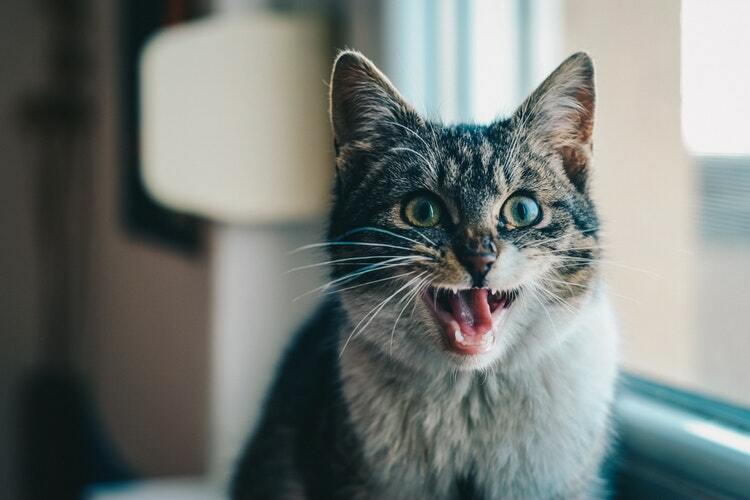 While people can take care of their teeth since we have several measures such as brushing and flossing, cats are unlucky since they cannot do so on their own. However, unlike in the past when cats had to cope with tartar on their own, cat’s medical world has come to their rescue with the best cat toothpaste to maximize cat’s dental health. Why do cats need toothpaste? What is cat toothpaste and can a cat use human toothpaste? Which Cat Toothpaste Ingredients Are Safe? Cats have poor dental health and are prone to oral diseases and to combat this, veterinarians recommend daily attention to a cat’s oral hygiene. Generally, this is possible with special toothpaste for cats. While it is natural for a cat’s oral health to be somehow poor, you need to check her regularly. As adorable as cats are, you may feel somehow guilty when pushing them away when they get too close. Once you notice that the smell is so bad, it’s about time you invest in safe cat toothpaste. When you notice that the cat is unable to eat well or has bad breath, those are symptoms of a severe medical issue. Just like human beings, their teeth can build up plague and tartar that leads to several dental problems. Before it gets to that, get the best cat toothpaste for gingivitis to counter-attack the problem. Cat toothpaste is specially meant for the cat’s mouth. The way by which the toothpaste works is slightly different from human toothpaste. Even though the outcome that we intend to get is the same, which is better dental health and fewer cavities, the ingredients are different and are safe for cats to swallow. On the other hand, human’s toothpaste is not ideal for cats. While it might clean the cat’s teeth, it can turn out to be dangerous to her. The reason is that the toothpaste has ingredients that are not safe to swallow. Unlike humans, cats cannot spit the paste after brushing, they usually swallow everything, and if a cat swallows human toothpaste, you may need to take her to the vet since it can lead to health complications. With that in mind, never use human toothpaste on your cats or dogs. Here is several safe cat toothpaste to choose from. Virbac CET toothpaste is a safe, appealing, and adequate to your cat or dog. It has a dual enzyme that works by inhibiting plague and tartar formation. C.E.T enzymatic toothpaste reviews prove that it is ideal for both cats and dogs and they do not contain any foaming agent and are safe to swallow. Virbac CET toothpaste recall comes with a flavor that every cat loves thus making it easy to brush her. With this toothpaste, you can choose from various cat flavors depending on your cats’ likes. The toothpaste is ideal for both cats and dogs and offers natural anti-bacterial actions and thus inhibiting further plague and tartar formation. Petzlife oral care gel salmon is an excellent alternative for healthier teeth and gums. It has natural ingredients that kill bad breath and bacteria and its safe for both cats and dogs from any breed. It is available in spray and gel too. The kit provides easy oral care leaving your cat with a fresh, healthy, and clean teeth and gums. The kit is ideal for cats with an angled toothbrush for brushing their small mouths. The toothbrush comes with ultra-soft nylon tips making it easy to clean between the teeth and rubber massagers that cut plague and tartar build up. The kit also has Denta-C toothpaste that is scientifically proven to get rid of tartar that harbors bacteria. The kit has everything that your cat needs. It comes with a finger toothbrush for kittens and double-sided tooth-brush for all cat sizes. It also comes with enzymatic toothpaste loaded with poultry flavor. The toothpaste removes plagues to prevent tartar formation and its touch on plagues but very gentle on gums. The toothpaste is very safe, efficient, and very affordable, making it a perfect choice for those seeking a complete dental package for cats. The kit comes with a toothbrush, toothpaste, and a finger toothbrush for kittens. The toothpaste comes with a palatable malt flavor, and so your cat will have no issues with the taste. It has hydrogen peroxide which helps it to produce an enzyme that prevents tartar and plague formation. The dental kit comes with a toothbrush for bigger cats, a finger toothbrush for kittens and toothpaste that fights the plague. Since the toothpaste is enzymatic, it does not only clean the teeth but also prevents them from decay, tartar and gum disease. The toothpaste is good for cats with sensitive teeth as it does not contain harsh ingredients. The poultry flavored toothpaste has beneficial enzymes that are capable of removing plague from any kitty’s teeth. It is not hard to apply since you can get as part of a complete kit including a toothbrush the toothpaste uses a triple enzyme system to make sure that it eliminates every plague and reduces inflammation. One thing that I love about this toothpaste is that it has no sugar or even sugar substitutes. It contains fast-acting enzymes and cleans your cat’s teeth within minutes. The toothpaste is both odorless and flavorless. If your cat has sensitive gums and teeth, this is the toothpaste for your cat! It is a gentle formula that soothes the cat’s mouth tissue while at the same time cleaning them. The toothpaste removes tartar and prevents plague formation, keeping your cat’s teeth strong and healthy. Even as you work on getting the best toothpaste for your kitty, you need to know that you cannot solve every dental problem with toothpaste. There are serious ones that need a vet. That is why it is essential to take your cat to the vet on a regular basis to make sure that his teeth and gums are in shape. Check-up is the most crucial step when it comes to the cat’s dental care. You need to come up with a schedule, such as; you can decide to take him every three months to make sure you are up to date with his dental health. The types of food that you offer your Kitty may significantly affect his dental health. Avoid feeding her the same type of food every day. Mix the food to make sure that she eats a balanced diet so that she can get all the necessary nutrients. Also, you need to avoid sugary foods as they can contribute to dental issues. You need to offer solid food or something hard to chew as this can strengthen his teeth and gums. Generally, the best food for cats is unprocessed turkey and beef. You can also give her a bone to chew and play with as a form of teeth exercise. Humans are not the only ones who experience bad breath. If you ignore your cat’s teeth for quite some time, she will develop bad breath, and you may not like it when she comes close to you. Always keep her teeth fresh and clean with any of the above toothpaste. You can prevent many cat diseases by paying attention to their oral health. Whenever your cat is suffering from a dental issue, you will notice some discomfort if you are keen. If she stops eating as usual and shows discomfort, it is good to take him to the vet. Tartar is a hard and sticky substance that forms around your cat’s gum and teeth. Always check your cat from time to time to see if you notice any tartar build up and make sure you remove it sooner. Your cat may develop a teeth problem or a smell that does not go away even after brushing him. In such a case, you need to see your vet so that he can prescribe a spray to aid in the situation. It might be an issue that is not visible to the eye, but the spray can reach all areas, especially the areas that you cannot see. With hundreds of pet stores in Asia and other parts of the word, it’s not hard to find healthcare products for all kinds of cats. You can quickly get rinse and gels to make your job easier. However, you need to understand that not all gels have a convincing taste to your cat and giving them to a cat may p[rove a bit challenging. Brushing your cat’s teeth is not an easy thing, but you should not avoid doing it since the dental problems in human beings are also present in cats. Vets recommend for people to brush cats on a daily basis to give cats the best chance of staying with healthy teeth. Besides, teeth are essential t every cat, and once they go, they will never come back. Many cat teeth cleaning constituents are harmful to cats. However, there is safe toothpaste for cats that contain enzymatic ingredients, ideal for a cat’s teeth and gum. Ethanol-while it is harmful in large doses, its function is to dissolve things and in cat’s toothpaste, you will not find it in large doses making it safe. Di-calcium phosphate-it is a supplement that comes from calcium and phosphorous whose function is to strengthen the teeth. Glycerin-works as a texture adding agent and it comes from plants and animals. Magnesium aluminum silicate is a thickener, it causes kidney issues in dogs, but it needs further study. Potassium Sorbate – works as a preservative and it is safe. Silica-an abrasive that is not toxic. Sodium benzoate-a preservative that is harmful in larger doses. Sodium phosphate helps remove tartar and plague though its safety or harm is not yet known. Sorbitol is a sweetener, adds moisture, and acts as a laxative in pets constipation. Xanthan gum thickens and suspends the toothpaste, and it is safe. Titanium dioxide adds white coloring. Cats may not like the idea of brushing their teeth, but how you do it will decide the results. Brush all the surfaces-clean the outer side of the teeth and gum slowly, and if your cat allows you to brush the inner side, do so. As you brush, check the upper canines and molars since they tend to build plague and tartar so quickly. If your cats do not like the toothbrush, you can use a piece of gauze, wrap it in your finger and scrub her teeth in a circular motion. Cats like routine. Make brushing a routine by brushing her two to three times a week, if not daily. Use treats after a successful experience to make the process fun experience to all. With the varying number of toothpaste available, choosing the best is not an easy task. However, what is essential is getting toothpaste that your cat will like. All of the above toothpaste is safe for your cat’s consumption and delicious as well. But, the best seal of approval is from your cat! And so you have to try it out with the cat to see how they react to the taste. Also, make teeth cleaning a regular occurrence as that will create a big difference between them hating or loving the exercise. So, get the best toothpaste for cats, and your kitty will thank you later! For more on dental cat health, here are helpful topics that will help you much when it comes to taking care of your cat.